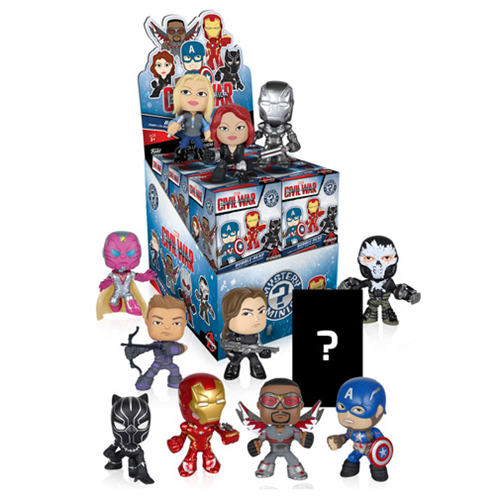 Offering another option for Marvel collectors, 2016 Funko Captain America Civil War Mystery Minis feature the Captain America sequel in a miniature format and a dozen figures to track down. While collectors can also find traditional Funko Pop! 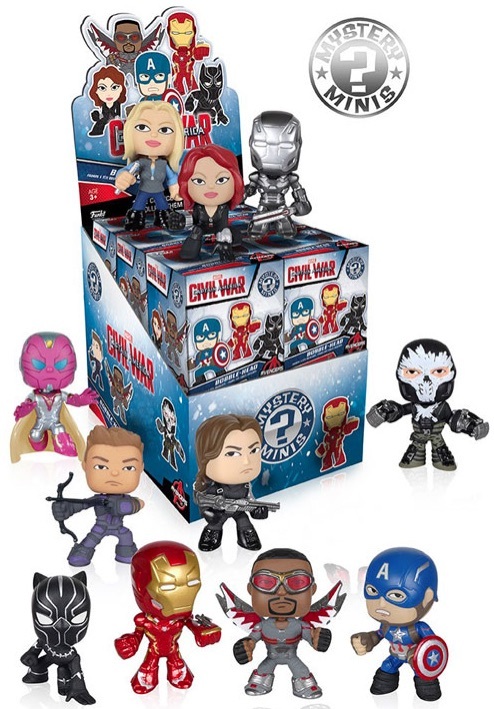 figures for Captain America: Civil War, the Mystery Minis present an element of surprise in addition to the smaller size. Issued in a blind-box format, the actual figure inside remains unknown until is it opened. This adds a chase element as collectors attempt to make the set. 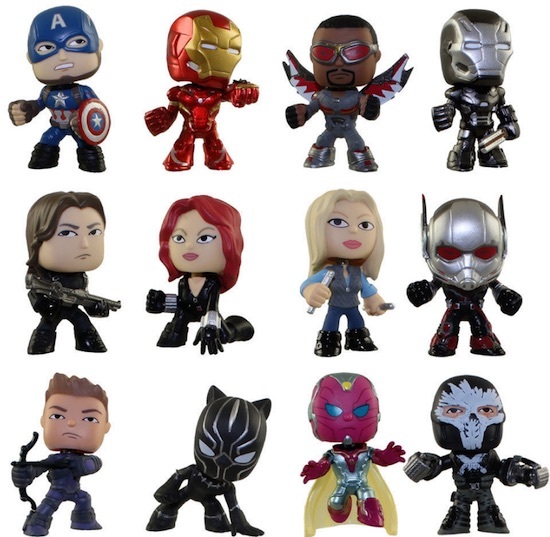 The full lineup features 12 figures and includes options for main characters Captain America and Iron Man. Most other notable subjects are also featured from the major film release that pits Marvel characters against each other. The Mystery Minis figures stand approximately 2 1/2" tall. Individual figure rarity is not available but will be updated if it is provided. Given that there are 12 boxes in a case and 12 total figures, they could all fall at the same rate.